Okay, so backtrack to sometime around the early 2000's. My local video store 'Nu Time Video' was closing in our suburban town X miles out of Chicago, USA. Needless to say, my neighborhood best bud (aka fellow tree fort builder, horror movie fanatic, pyromaniac, etc.) and I ventured over to 'Nu Time' via bicycle and found everything was for sale. CHEAP! I had and still do dig ex-rental cut boxes more than most, so I was running shelf to shelf... bumping into mom's and kids and dogs... big ol' stack of tapes in my arms, just loading one after another not even thinking twice. We checked out, loaded our bags with tapes and biked home. We plopped onto the couch and checked out our hauls like trick or treater's at the end of a fruitful Halloween night. A lot of mish mash, mostly horror, but then I started to realize I got some total gems... The Willies! Death Valley! 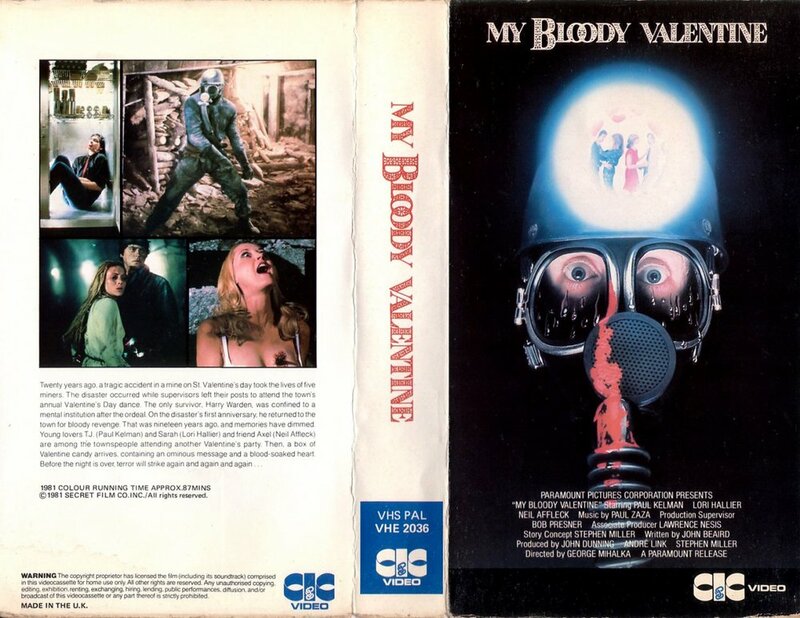 Return of the Living Dead... River's Edge... and MY BLOODY VALENTINE! Some of my collection favorites at the moment! What are some of your favorite tapes you've collected?